The US sanctions may prod Novatek to attract financing from India and deepen energy partnership. The expansion of the US sanctions list against Russia could force Russia’s leading natural gas producer Novatek to explore the idea of attracting Indian capital to the Yamal LNG project, say Russian experts. Besides many representatives of the Russian defence-manufacturing complex, two energy companies – Novatek, which is implementing the Yamal LNG project, and the Russian energy giant Rosneft – were included in the list of Russian companies placed under sanction that the USA announced recently. Sanctions targeting these two companies are identical and are designed to hamper their future development. The US Treasury has closed the way for them to access financing in dollars in the medium and long term future. Essentially, this means that they will not be able to take out loans from American banks or place debt in American currency. Only one possibility for increasing their capital in dollars remains open to them – offering additional shares on the stock exchange. The US cannot forbid companies from taking credit in euros or the currencies of Asian countries. However, Novatek and Rosneft are carrying out such massive projects that there are not very many sources for the necessary financial resources besides American banks. According to the evaluation of Russian experts, such a situation can open the window of opportunity to Indian investors. “The company (Novatek) is now frantically searching for someone else to give them money in order to fully cover costs. Existing partners have by no means provided it all. China has given something; there are also some advances, but the gap has not been closed completely. And because of the sanctions, there is some apprehension that the project will be underfinanced,” RusEnergy partner Mikhail Krutikhin told RIR. He also mentioned that Japanese bankers have declined to participate in the financing of the project and did not rule out Indians supplying the financing the company needs. Russia is interested in the development of gas partnership with India. In late June, for example, the head of Gazprom, Aleksey Miller, announced that his company might be interested in the construction of a gas pipeline to India. In the assessment of the head of the analytical division of Tserih Capital Management, Nikolay Podlevsky, the cooling of relations with Europe will inevitably compel Russia to search for energy customers in Asia; moreover, demand in the region is growing rapidly. Last year, India required 51,000,000,000 cubic meters of natural gas though its domestic production only totaled 34,000,000,000. The difference was made up by imports. “The demand for blue fuel will grow rapidly in India. In China the volume of gas consumption has risen by eight over the last 15 years, but this indicator has only doubled in India,” Podlevsky told RIR. In his opinion, India may become a promising customer and partner for new projects, and could also become a serious “interested party” in the Yamal LNG project. Furthermore, the other potential customer for Yamal gas – Europe – is now actively “flirting” with the US and hopes to arrange supplies of LNG from the New World. LNG, in Krutikhin’s opinion, becomes competitive relative to a gas pipeline more than 2,500 nautical miles long. In addition, the project for building a gas pipeline from Russia to India seems fantastic the experts interviewed by RIR. “A far more natural solution for India is to arrange for the supply of Iranian gas from the Persian Gulf zone. Such projects are the most realistic, and Gazprom could participate in them in the capacity of a deposit developer and in terms of pipeline construction and long-term gas supply,” said Podlevsky. The option of installing a pipeline through the Chinese territory is unlikely to happen as China itself is interested in increasing gas imports. In September last year, Novatek sold 20 percent of its shares in the Yamal LNG project to the Chinese CNPC. Another 20 percent belongs to the French Total. 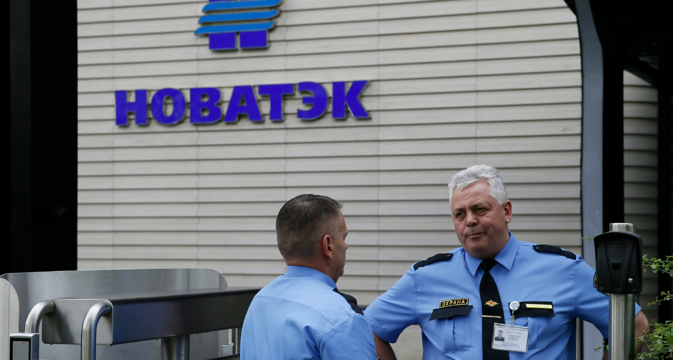 As the head of the gas company, Leonid Mikhelson, announced earlier, Novatek plans to retain a 51-56 percent share in the company.